Joy Mangano is the humble-roots woman who became an industry of household inventions (mainly, the Miracle Mop, although she holds over 100 patents)—not an obvious choice for a biopic. Perhaps only director David O. Russell could see the potential in it, boosted by his fascination with Jennifer Lawrence, who plays Mangano. “Joy” demands that the audience become emotionally invested in a mop. It’s ridiculous. “Joy” doesn’t work entirely, and the structure set up so clearly in the opening sequence is dropped early on for no apparent reason, but I’ll be damned if I didn’t get carried away at the story of a mop sweeping the nation. It’s a lunatic “Mildred Pierce," without the murder. “Joy” starts as a fable about a little girl who liked to make things, narrated in an epic tone by her loving grandmother Mimi (Diane Ladd). The narration is so strong at the start, that it’s noticeable when it disappears. It feels sloppy as opposed to deliberate. Diane Ladd, set up as the crucial “witness” to her granddaughter’s hidden gifts, vanishes for the majority of the film. It’s not clear why. When Mimi’s narration returns, you had forgotten that it was used as a device in the first place. It’s an interruption rather than a continuation. “Joy” makes its way forward through stylistic stops and starts. It can’t settle down. Joy doesn’t see herself the way her grandmother sees her: she derailed her life early by marrying a Tom Jones wannabe (Édgar Ramírez, in a hilarious and surprisingly touching performance), having two kids with him, getting divorced but then remaining friends. Now she lives in a rickety house with her entire extended family, including her ex-husband who hangs out in the basement in a tuxedo singing 1970s power-ballads into a microphone. Her mother (Virginia Madsen) lies in her bed all day watching soap operas. (Real soap opera stars, Susan Lucci, Laura Wright, Donna Mills, appear in re-creations, an entertaining device that is not developed, similar to the voiceover). Joy’s father (played by Robert De Niro) shows up at the door one day, thrown out of the house by his new wife, needing a place to stay. Meanwhile, the grandmother peeks around corners whispering inspirational thoughts at her harried granddaughter. One day, Joy draws a picture with her daughter’s crayons of a revolutionary mop. She hits up her dad’s new rich girlfriend Trudy (Isabella Rosselini) for the cash to start up a small business. But, Joy has no luck selling her new invention. Enter Bradley Cooper as Neil Walker, a slick, soft-talking executive producer at QVC. Neil looks upon Joy as an amateur-hour open-mike-night kind of inventor; he decides to give her a shot on television. To increase her inventory, Joy hastily sets up an assembly line in her father’s body shop. Along the way, she deals with sketchy manufacturers, Trudy's increasingly angry-mogul demands about her investment, and the very real urgency that her house is falling apart and she can’t afford a plumber. “Joy” features chaotic family scenes with the let-the-camera-find-the-action quality familiar from Russell’s other family comedies like “The Silver Linings Playbook,” “Flirting with Disaster,” “I Heart Huckabees” and sections of “The Fighter,” with the scowling rogues gallery of practically identical sisters like something out of a fairy-tale. They make for the funniest scenes in “Joy"—De Niro smashing knick-knacks, Ramirez throwing in comments from off-screen, Madsen wailing like a martyr from her day-bed, and Ladd whispering New Age-y encouragement. These scenes have real energy. One shot is so funny (the camera moving down the basement stairs into the ex-husband’s lair) that it’s a reminder of what inventive camerawork can achieve. Russell has directed Jennifer Lawrence three times now (“Silver Linings Playbook,” “American Hustle,” and now “Joy”), and once to an Oscar (her first, for "Silver Linings Playbook"). The “Hunger Games” franchise is so enormous that it’s sometimes easy to forget “Winter’s Bone," which brought Lawrence to a wide audience (as well as her first Oscar nod). In “Winter’s Bone” she brought a naturalism and a gravitas far beyond her years. Her public persona is entertaining in an old-fashioned way: she would have killed on Johnny Carson, in the way Burt Reynolds used to kill in his appearances. Late-night talk shows and press conferences feature so many obedient performers plugging their project that Lawrence’s appearances seem even more anarchic than they already are. In this way, she’s reminiscent of Carole Lombard, a glittering natural comedienne onscreen, and a trash-talking sailor off-screen. David O. Russell taps into that,. Perhaps, even most importantly, he saw that potential in Lawrence in the first place. Being obsessed with your lead actress is sometimes seen as a director playing Svengali or Henry Higgins, or evidence that the director has lost his “objectivity” (as though objectivity is the mark of a good director.) But so much richness has come out of that kind of obsession. Josef von Sternberg was so obsessed with Marlene Dietrich that he introduced her to the world. Howard Hawks was so invested in his imaginary ideal woman (insolent, feminine but not soft) that he plucked Lauren Bacall out of obscurity and gave her the lead role opposite Humphrey Bogart in “To Have and Have Not,” one of the most extraordinary screen debuts in cinema history. Woody Allen’s partnership with Diane Keaton cemented her position as an awkward leading lady. Christian Petzold’s films with Nina Hoss have been one of the most important contemporary collaborations, highlighting what Nina Hoss can do as an actress (which is everything). David O. Russell’s obsession with Lawrence is similar. He sees her in a way other directors hadn’t. He got how funny she was. He saw her Classic Leading Lady potential, even though she has been too young for almost all of the parts he has cast her in (true of “Joy” as well, where she has to age 20 years). 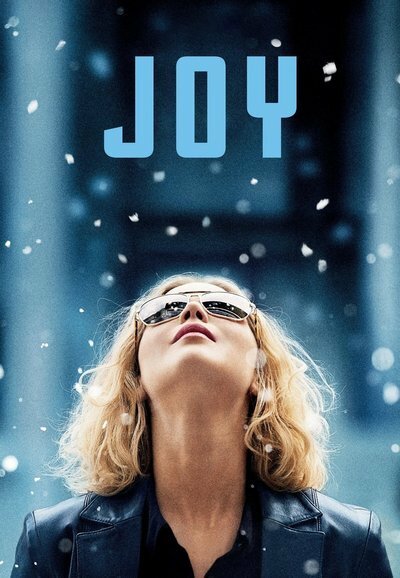 “Joy” is pretty ridiculous, and there are long sections of it that don’t work. It’s obviously a star vehicle for Lawrence, but if anyone deserves a vehicle, she does.